It is 48 degrees outside and raining but the new Streetcar Conductors album makes it feel like summer. 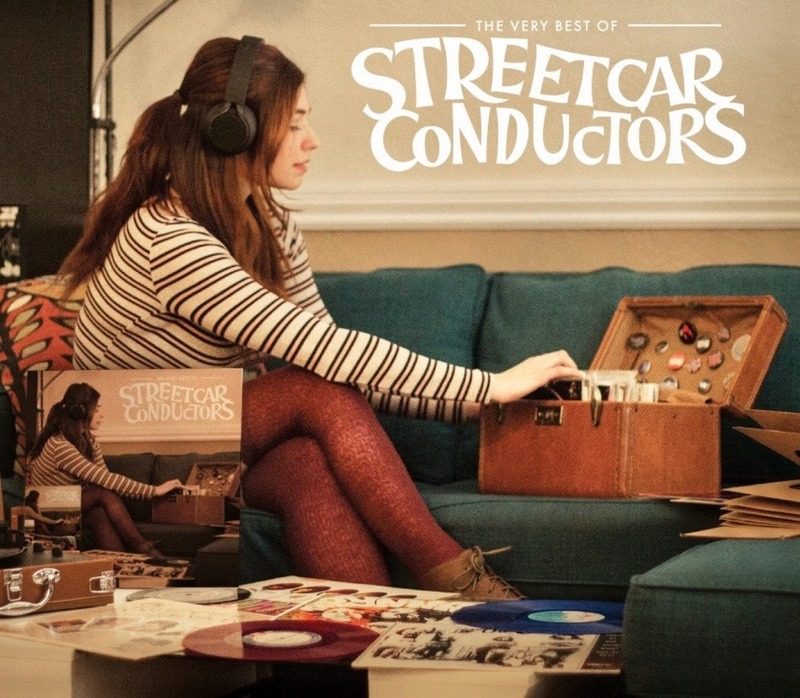 This debut record is fittingly called “The Very Best of Streetcar Conductors.” It is a collection of the best of Jonathan Moore’s extensive repertoire of songs and represents the culmination of years of studio work and incredible patience as Jonathan has searched for the perfect bandmates to bring his vision to life. I’ve already listened to the CD many times in the two days since I picked it up at the band’s epic CD release party with King Black Acid and the Fur Coats. The songs are catchy retro pop hits full of irresistible earworms along with sometimes hilarious lyrics that are the embodiment of Jonathan’s personality- insightful, unpretentious, and self-deprecating at times. The first track, “Pushover,” is a hit that has the tone and feel of Cheap Trick’s “I Want You to Want Me”. Right? That’s a pretty amazing way to kick off the album, but it doesn’t stop there. The second hit, “Let’s Not (And Say We Did),” starts out with a megaphone blasting what sounds like the bitching of suburban housewives, and then goes on to explain that the long term risks of falling in love outweigh the temporary benefits. The brilliant lyrics continue with “Pictures of Ourselves,” which depicts the modern culture of selfies, and “The Absurdity of Life,” which is self-explanatory. 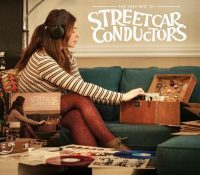 Great music finds a balance between being new and refreshing yet sounding familiar, which is the beauty of Streetcar Conductors. “Summer, Whatever Became of You?” could fit right in on the Grease sound track. “Throw Your Love Away” channels John Lennon. “Other People’s Happiness” and “True Love, They Say” have an Elvis Costello vibe. “Staring at the Sun” and “You are the Brightest Star” swing along like Roy Orbison tunes. “Losing Streak” has a hint of Vampire Weekend in it. And there are endless comparisons to Weezer. At this point you should probably just listen to the album because reading about it isn’t nearly as good. Streetcar Conductors is on bandcamp, Spotify, cdbaby, itunes, YouTube, or wherever you listen to music. 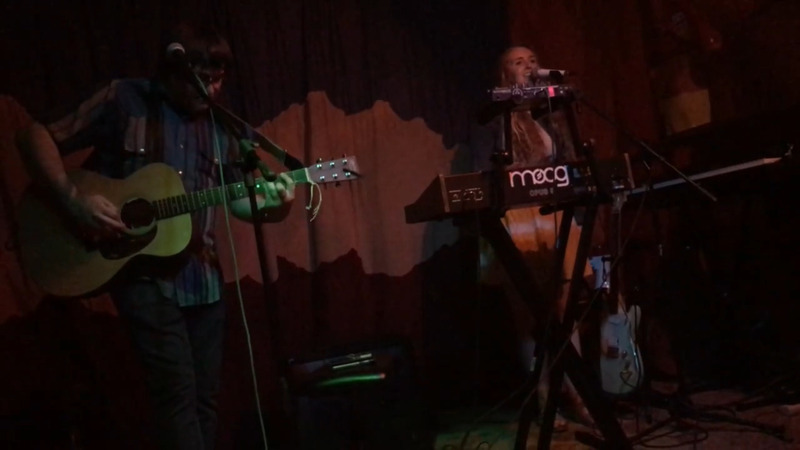 Follow the band on fb and check them out live at the Local Roots Showcase on May 9 at Alberta Street Pub. If you’re still reading, it’s interesting to note that Jonathan Moore not only wrote all fourteen songs, but played nearly all the instruments. 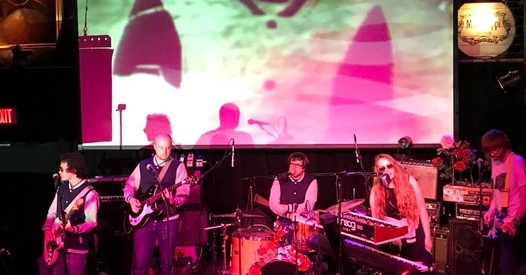 The liner notes list the usual things like drums, guitar, bass, synth, percussion, and piano, but also more unusual things like mellotron, vibraphone, air organ (which is unlike air guitar), and electric sitar. In the live band, Jonathan plays drums and shares singing with Carmen Charters, who brings the yin to the yang and has been described as the missing puzzle piece in completing the Streetcar Conductors’ musical vision. 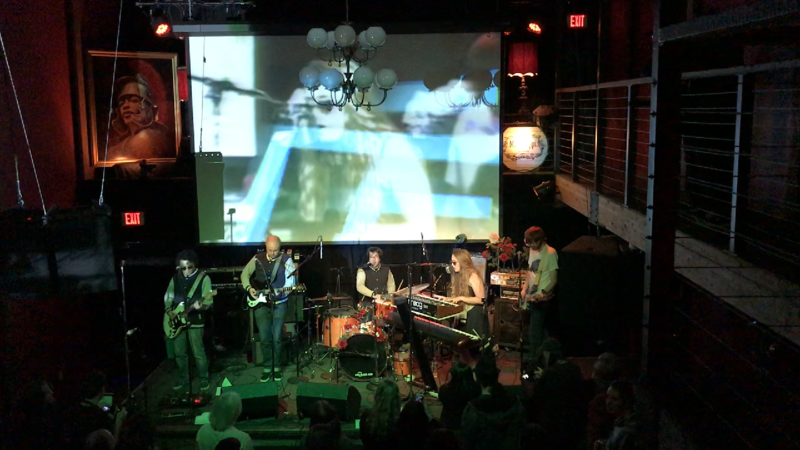 This video from the CD release party features one of the tracks that is not on the new album. It’s one of Carmen’s songs and just for fun, I’ve included a video of the same song performed last summer when Jonathan and Carmen performed as a duo. The band has come really far in a short while, making them a top contender for Portland’s Best New Band in 2018. Bravo Streetcar Conductors! And finally, apologies for being so infrequent in writing up reviews lately, but these days I’m actually working on getting my own album out as well. Portland’s music culture has so much to write about and be a part of. It’s tough to keep up with it all.